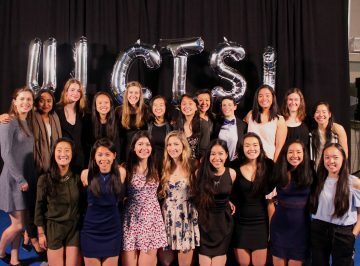 The UBC Thunderbirds Women’s Ultimate Sport Club is a consistently high performing team that competes primarily in the USA Ultimate (USAU) College Series in the spring of each school year with the primary goal of qualifying for – and winning – the USA College National Championships. Most recently, in 2018, the UBC Women placed fifth at USA Nationals. The 2018-2019 will start with tryouts happening in late November and will continue with regular practices happening from the beginning of January until the end of May. Regular season tournaments typically occur in March, qualifier tournaments in April, and National Championships in May. The UBC Thunderbirds Women’s Ultimate Sport Club is looking for passionate and skilled players to join our 2018 team. Ultimate is a unique sport that combines athleticism, skill, and spirit; and we value all three aspects of the game. We pride ourselves in promoting an inclusive and fun atmosphere without sacrificing our competitive drive to be one of the top 3 ranked Women’s Ultimate teams in North America. We invite all students interested in competing at high-level women’s ultimate to come to our try-outs. Previous experience with the sport will be an asset, although is not necessarily required to make the team. There is an expectation that players will do their best effort to attend all three practices a week (two evenings and one weekend morning) and all tournaments. Athletes will also be expected to complete required additional individual fitness outside of practice. Lastly, athletes will be required to have a valid passport in order to travel to the United States regularly for tournament play. The Ultimate player’s mantra when leaving the house : “Light, dark, cleats, water”. Team fees will be paid in installments throughout the spring and will roughly total at $600-$700. These cost will cover fields, tournament fees, apparel, hotels, gas, etc. Certain tournaments will require flying (Stanford Invite and Nationals) and are the individual responsibility of the player. They will add to roughly $800-1000 total. There will be significant fundraising efforts made throughout the season to help subsidize these costs. Practices will start at the beginning of January and continue until the end of May, leading up to Nationals. There will be three practices per week spanning 2 hours each session. One practice will take place Saturday mornings: time TBA. Exact time and locations will depend on field assignments for the month. Additional fitness sessions will also be required. 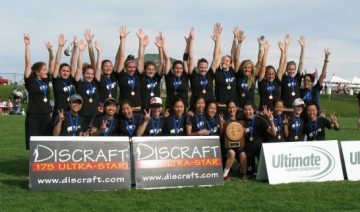 Founded in 1997, the Women’s Ultimate team has competed yearly in the USAU College Series and holds a National Championship Title from 2008. A high level of achievement has been maintained over the years, with a 5th place finish in 2016 and 3rd place finishes in 2015 and 2017. The team consistently is ranked among the top teams in North America and seems to have an endless flow of young talent from the Junior Ultimate Programs in BC. Vancouver has a strong junior ultimate scene which has provided a talented pipeline for the UBC team. In fact, many rookies join the team with years of high-level playing experience already under their belt, be it with Team BC or Team Canada. Many UBC players have represented Canada at U20 and U23 junior worlds in the past, bringing home bronze, silver and gold medals. 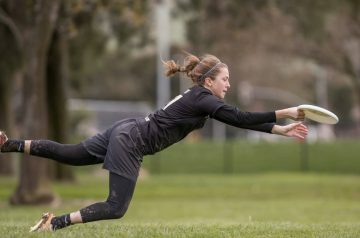 UBC leads the country in the growth of elite women’s Ultimate, with the current 2018 U24 Canadian team being represented by many Thunderbirds as well. Beyond the many players who have competed on the U19 and U23 Canadian National Teams, UBC’s distinguished alumni Candice Chan, Mira Donaldson, Catherine Hui, Kira Frew, Rena Kawabata, and Rachel Moens have all competed for the Canadian World Games Team, playing at the highest level on the world stage. 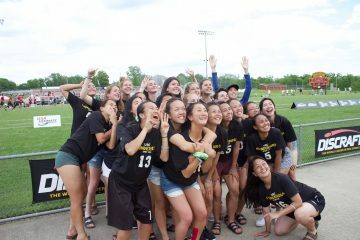 In previous years, the Women’s Ultimate team has existed as part of the UBC AMS Ultimate Club – a community that still exists for students who do not wish to compete at a competitive level. We host numerous fundraisers throughout the season including 5v5 tournaments, alumni events, and replica jersey sales happening at various points throughout the season. Stay tuned! We are pleased to announce our roster for the 2019 season!